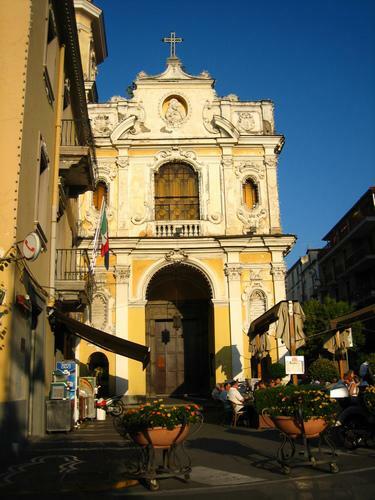 Reconstructed at the end of the 15th century, on the remains of a previous ancient Church dedicated to the sacred sorrentine Martyrs, the Church of Carmine has only a single nave. 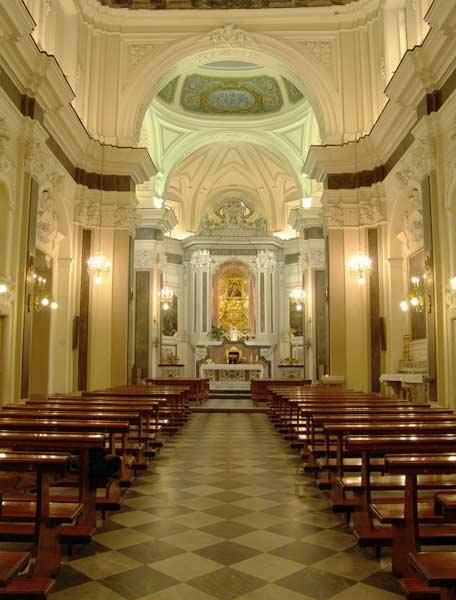 At the far end there is an ancient impression of Mary; the Madonna, which is a copy of the Drk skinned Virgin of the Church dedicated to the same Saint in Naples. Once can admire paintings of good quality of artists of the 16th and 17th centuries, as well as two artistic gilded wooden bone containers of Saints which date back to the 16th century. 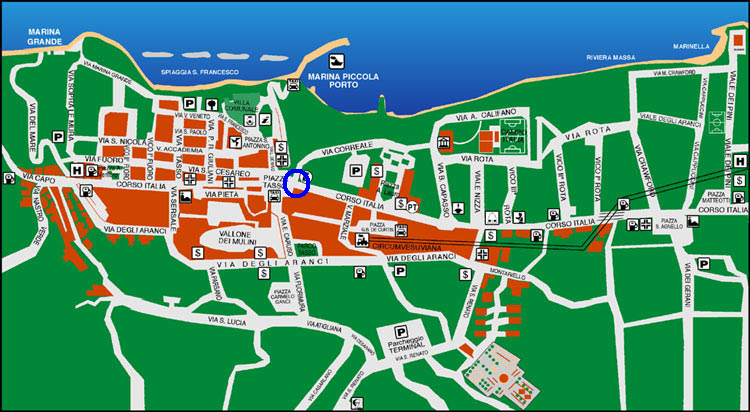 Copyright © 2014 Infopoint Turistico San Paolo - Sorrento. Tutti i diritti riservati.